These volunteers will help pack and deliver items. Volunteers will help pack and deliver items. The Thursday Network Food Pantry supports the health needs of our community members each month. 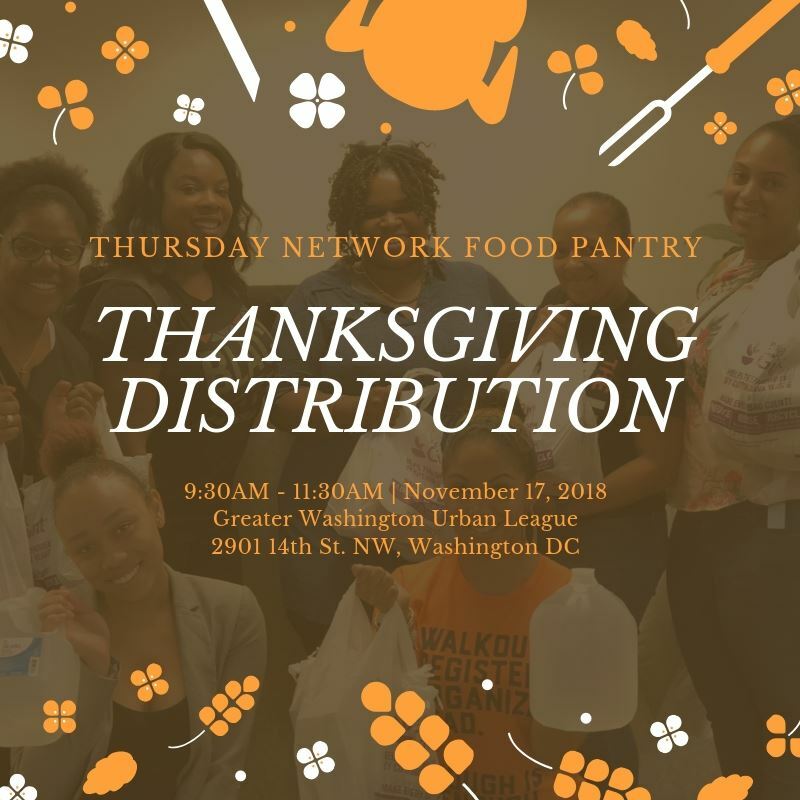 Help us expand our reach beyond the walls of the Greater Washington Urban League by donating items*, funds, or your time to ensure our selected community members have a variety of food and household items to support their basic needs. This Thanksgiving, we will be providing our families with additional items to ensure they are able to create a complete meal with friends and family. *Before purchasing specific items, please email Chalon Jones, Community Service Programs Chair at csprograms@thursdaynetwork.org to ensure the items are needed.